TRANSPORT and Infrastructural Development minister Joel Biggie Matiza is entangled in a multi-million dollar Civil Aviation Authority of Zimbabwe (Caaz) scandal after he reportedly authorised a €28 million (US$33,3 million) deal for Spanish company Indra Sistemas (Indra) without going to tender. The contract, which Matiza awarded to Indra in collusion with Caaz general manager David Chawota, is for the financing, supply and installation of an airspace management system to facilitate air traffic movements into and out of local airports. Zimbabwe is currently using an outmoded airspace management system, which exposes passengers to serious air traffic accidents. Official documents seen by the Zimbabwe Independent this week show that Chawota played a pivotal role in ensuring Indra was irregularly given the deal, while Caaz officials told the Independent that the minister authorised it after intense lobbying. A Caaz official who lobbied for the project claimed the deal was closed through a "special tender". The officials are, however, unable or unwilling to explain what that actually means. Indra was initially awarded the tender in 2016, but the deal was set aside after a competing Italian firm, Selex ES, won a Supreme Court case challenging the decision on the basis that the tender did not go through procedures specified by law. In addition to that, Indra did not pass a critical security vetting by the Central Intelligence Organisation (CIO) and the Air Force of Zimbabwe, as well as other security agencies. Sources in the ministry also indicated there are concerns about a US$9 million cost escalation from the original tender of US$18 million, raising fears the tender could have been inflated for rent-seeking and corrupt purposes. The deal was first mooted when the ministry was headed by Joram Gumbo, who was transferred to the Energy portfolio in September after a cabinet reshuffle following the July general elections. Sources privy to the issue told the Independent that notwithstanding the Supreme Court ruling and security concerns, Chawota irresistibly pushed the Caaz board to authorise the deal with Matiza's support. "Matiza and Chawota vigorously pushed for this tender to be given to Indra; they are now claiming that it was re-tendered, which is not true. If it was re-tendered, when and where; why didn't we see other interested parties getting involved? "Matiza is conflicted in this case because he has been working with Caaz as an architect designing local airports in the first place before his appointment as a minister. Caaz must explain when the deal was re-tendered and the circumstances. When was the re-tendering and who else was involved in the process?" a ministry official said. Sources said although some senior officials at the ministry raised concerns over the deal, Matiza authorised it all the same. Caaz board chairperson Thembinkosi Magwaliba confirmed Matiza's authorisation of the deal. He also said that Indra was recently granted the tender and was now only awaiting finalisation of financial aspects before work commences. "I can confirm that the tender was granted to Indira recently. We have received authority from our principals and we are now implementing the deal," Magwaliba said. Asked if it was true that the board had changed its earlier position under pressure from Matiza, in which it was opposed to the awarding of the contract to Indira, saying that it had flouted tender procedures, Magwaliba said: "The board consulted with the minister, as part of the larger expansion of the Robert Mugabe International Airport project. So, we are going to implement it under a loan facility from the China Eximbank or if that fails, we are exploring an alternative whereby local banks will fund the project." Contacted for comment on the issue, Chawota claimed the deal was re-tendered, but refused to give details. He claimed the deal was redone under a "special tender". "Don't confuse issues. What the Supreme Court said was that we should go back and restart the process. This is what we did. There was a special tender which was done and Indira was awarded the contract," he said. Chawota, who has previously been involved in corrupt Caaz deals, also refused to give a specific date on which the tender was granted, just saying: "What I know is that it was granted very recently." Matiza could not be reached for comment as he was not answering repeated calls. However, documents seen by the Independent suggest Chawota has, throughout this year, been pushing for the direct engagement of Indra, not an open and competitive tender process. In a letter to the board dated June 1, 2018, Chawota said the tender was awarded to Indra after it approached government and offered to finance, fix and install the airspace management system. "The Ministry of Transport and Infrastructural Development was approached in 2017 by Indra Sistemas with a proposal for financing, supply and installation of air space management systems. Indra was given the award for the supply and installation of the system for sum of Euro 27,9 million by the State Procurement Board," the letter reads. Chawota claimed and demanded in the letter that security concerns needed to be waived in view of the urgency of the matter, which warranted the invoking of presidential powers to go through. "There seem to be concerns arising from members that there were issues of governance that need to be cleared with regard to the appointment of Indra. Management is of the understanding that due to the urgency attached to the project, government took a position to apply presidential powers in the supply and funding of the project, hence the authority from the then State Procurement Board addressed to the Office of the President and Cabinet. 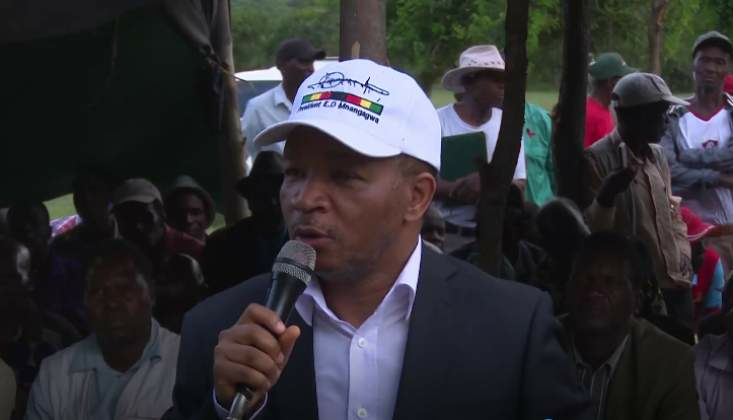 The authority was to proceed with the implementation," Matiza wrote. The minister also stated that security fears raised by the Air Force and the CIO security experts were purportedly overridden by President Emmerson Mnangagwa's re-engagement efforts, which meant government could enter into deals with European companies. Having finally obtained the board's approval under sustained pressure, Chawota immediately followed up on that with another letter to Procurement Regulatory Authority of Zimbabwe (Praz) CE Nyasha Chizu, pleading for the cancellation of a formal tendering process in favour of a direct engagement with Indra. Chawota also wanted Praz to cancel another deal with a South African company AME Aviation which Caaz had engaged to supply an air traffic communications system and give it to Indra. In the letter, dated May 2, 2018, Chawota argued that a formal tender would cause further delays in implementing the project, adding that this would result in it being completed by the end of this year. "The authority (Caaz) needs to proceed without further delay and procure a replacement air traffic management system to ensure safety of air traffic control within Zimbabwe. The Indra implementation schedule will result in project completion by the end of 2018," Chawota wrote. "There is dire need to address the communications deficiency in the Zimbabwe airspace in order to comply with international standards and stem out the concerns already raised by major airlines such as South African Airways. Praz is requested to approve the authority to cancel the contract with AME and engage Indra Sistemas for the supply of the required equipment." Praz approved of the request two days later on May 4, 2018, but requested Chawota to explain the contract valuations in the matter. "The authority observed that the matter between Caaz and AME was contractual, which should be resolved in terms of contractual provisions between Caaz and the contractor. It was further observed that the accounting officer (Chawota) was requesting direct engagement of Indra Sistemas of Spain when in fact the contractor was authorised to engage the same on 2 November in 2017," Chizu wrote. "However, your submission did not clarify whether the current request was for new requirements or increased scope. The accounting officer is hereby directed, in terms of the PPDPA Act to clarify whether the current request was for new requirements or increased scope and apply for contract variation in terms of procurement regulations if the current request is for increased scope of works." There are no subsequent documents to indicate whether or not Chawota complied with the directive, although he claimed in an interview with the Independent this week that everything was done above board. "All I can say is that laid down procedures were followed," he said. However, despite Chawota's claims of urgency to justify irregularly pushing for the project without following all procedures, with the year coming to a close, there has not been any progress on the project. Mnangagwa says his administration has "zero tolerance" to graft, but corruption remains entrenched and rampant in government and society.